‘Where’s the Soap’ is a singalong PSA created by organisations including UNICEF, for Cambodia’s Global Handwashing Day 2013 to raise awareness of the benefits of handwashing with soap. MONDULKIRI, Cambodia, 14 May 2014 - In the small village of Pou Chhorb, on a ridge in Mondulkiri, laughter from scores of children playing and music from a wedding is in the air. In this village there is a new Community Pre-school where eleven children attend for one hour every day and almost all the households in the village have a toilet or are on their way to building one. Bora Nhran is one person who is very cheerful about these developments in her village. She works as an ECCA, Early Childhood Care Assistant, and is an important person in her community where her role is to deliver information on early childhood care to the community. 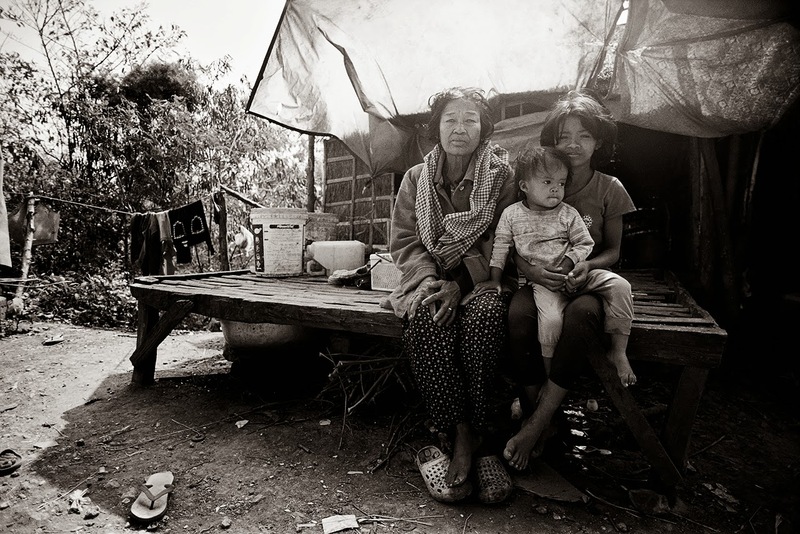 Leang Hour (right), her grandmother and her brother sit in front of their house. Out of all the stories we photographed while visiting UNICEF Cambodia, this is the one that hit me the hardest: The story of twelve year old Leang Hour who has become the motherly figure to her younger brother Srei Huy after their mother passed away a year ago and their father left the family. We met them during a day photographing activities supported by the Commune Committee for Women and Children (CCWC), a committee of the local government Commune Council that provides support to vulnerable pregnant women and children.